Sarah Otte Graber is a Partner with Wood, Herron & Evans and is involved in all areas of trademark prosecution and litigation, copyright law and unfair competition. She assists clients in determining proactive and effective measures to develop and protect their intellectual property portfolios. Sarah has considerable experience in U.S. and foreign trademark matters and has significant experience in trademark clearance, monitoring, and enforcement of trademark rights through litigations, oppositions and other proceedings. Additionally, she has experience with mergers and acquisitions, ensuring that her clients' intellectual property is successfully transferred throughout the world. 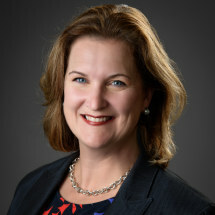 Prior to joining Wood, Herron and Evans, Sarah was a Trademark Examining Attorney at the U.S. Patent and Trademark Office where she reviewed numerous trademark applications for registration eligibility and advised attorneys and pro se applicants on a variety of prosecution matters. Sarah takes pride in successfully obtaining registrations, both U.S. and international, for her clients where others have not been successful. Sarah has served as a member of the Executive Committee of Wood Herron & Evans, which manages the firm’s operations. Sarah currently holds the position of Practice Group Leader for the Branding & Content practice group with the firm. When not practicing law, Sarah enjoys gardening, painting and spending time outdoors with her family.